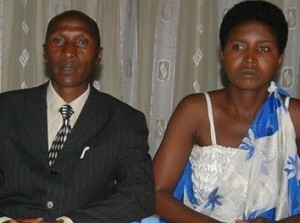 Biography: Church of God's People was started by Faustin and Francine in 1993. The small group quickly grew and is now serving the community in Kicukiro. Faced with various adversities, the church remains steadfast in their compassionate concern for the poor and needy. Their mission statement, "Go out and deliver people from the world to Jesus" has been activated through ministering to the lost and hurting. They frequently visit and share God's love in hospitals, prisons, and orphanages. Strengths: Faustin and Francine have a passion to reach the lost with the Gospel of Jesus Christ.